Whats Up Nails - Dragon Powder - Polish Etc. 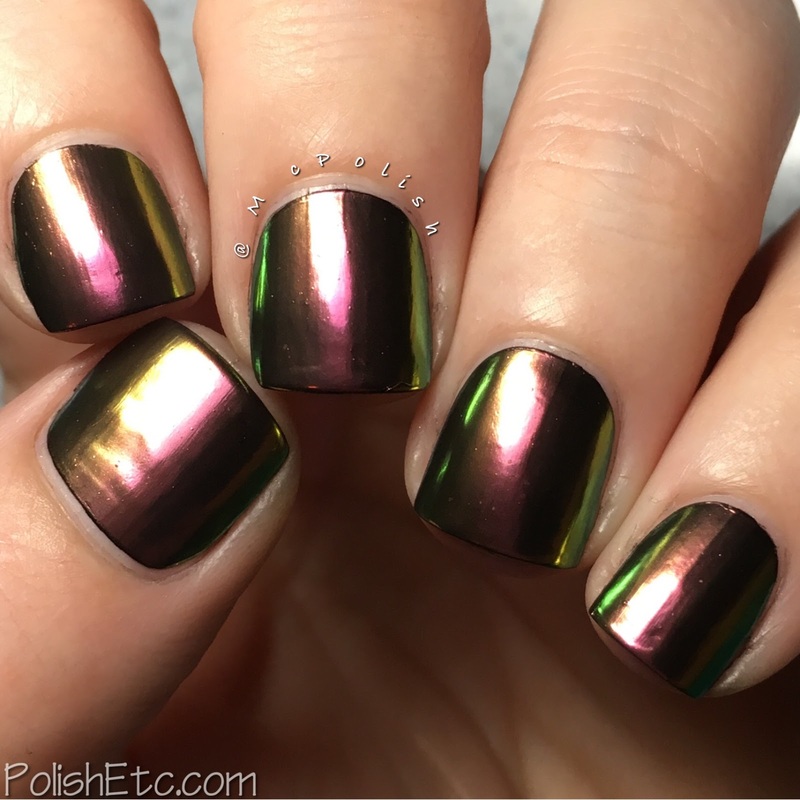 I am sure you have seen all the buzz about these new chrome powders for nails. 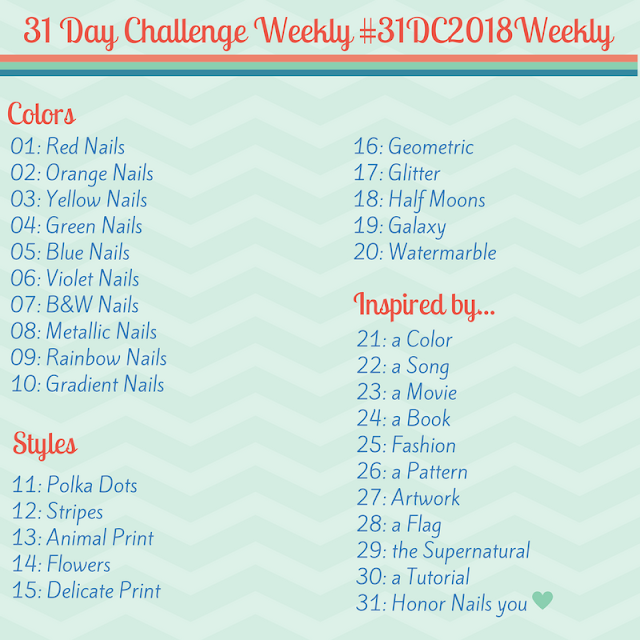 The have taken over Instagram and YouTube and nail blogs for the past few months. I can understand why because they look amazing. So reflective! I have been reluctant to try them because you need to use a gel top coat to make it last and I don't use gel polish. Actually...I am pretty darn terrible at gel polish. I have only tried it once before and it was a complete fail. I very much wanted to try out these chrome powders, so I figured I would give it another shot. Be prepared to see some fails in this post. 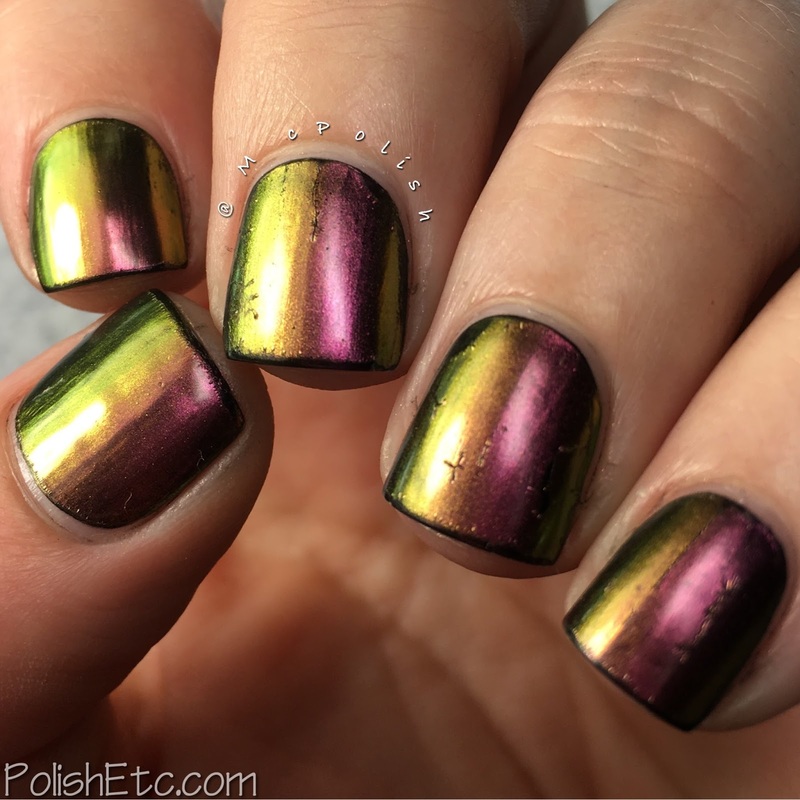 Not because of the chrome powder...because of the top coats that I tried. 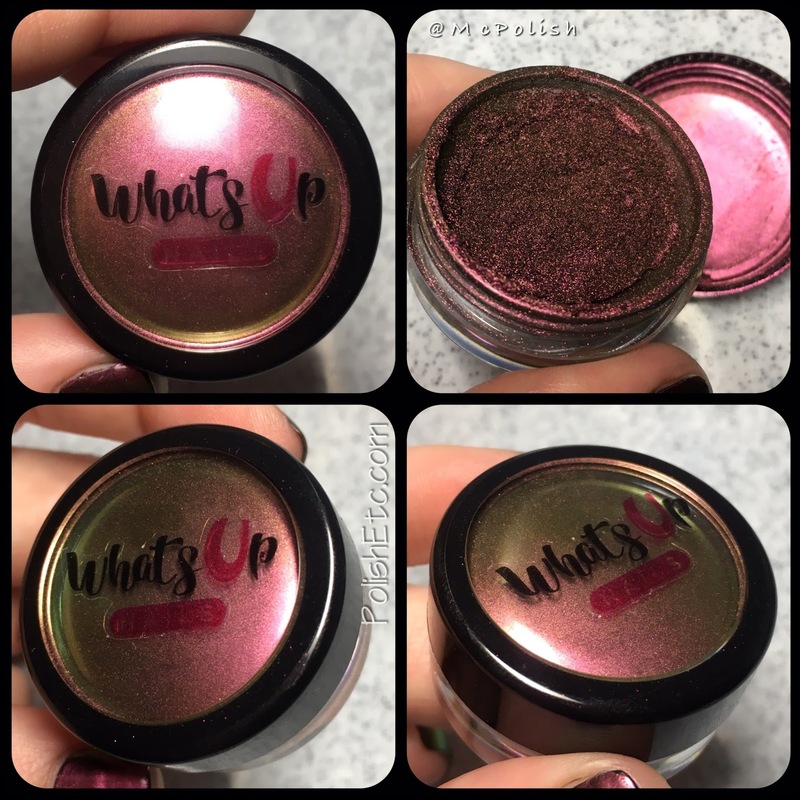 The chrome powder I tried was called Dragon Powder from Whats Up Nails. It is a chrome finish with a green to gold to red multichrome effect. It is part of the Magic Shifting Powders line. The effect is stunning! I knew from lots of YouTube videos that you can't use regular glossy or quick dry top coat with these powders. It makes them all dull and janky looking. But I did hear that you could use the Unt Peel Off Base Coat or another water based top coat and it wouldn't affect the shiny finish. I just so happened to have a bottle of Unt Peel Off Base Coat so I gave it a whirl. It did look great without any dulling of the shiny chrome effect. Until I just lotion on my hands. I use lotion before every swatch photo I take, so this was just habit for me. But it seemed to really dull the Unt and made it start to peel up. If I would have read more clearing on the Whats Up Nails site about these powders, I would have applied a glossy top coat on top of the Unt Peel Off Base Coat. I'm dumb...sorry. But at least you can see how cool and shifty the color is! For the photo above and below, I used two light sources at different angles to show that full color shift. After the fail with the Unt Peel Off Base Coat as a top coat, I removed the entire mani and started from scratch. Once I got the Dragon Powder back on over my black base again, I broke out the only gel top coat I have and the LED lamp. I used Gelish Top It Off for my gel top coat. I applied a thin layer over the chrome powder and made sure not to flood my cuticles. After I cured it, I took rubbing alcohol to remove the sticky layer. Fail! It looked fine until I used the alcohol. It made it so dull and wrinkled and pull away from the edges of the black. So frustrating. 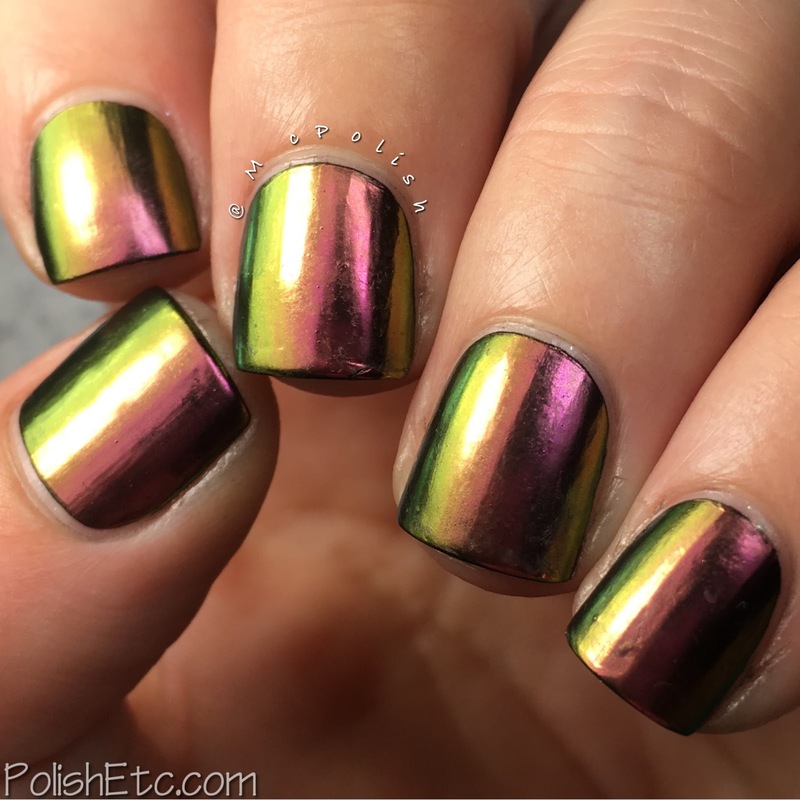 Again, If I would have actually read the how to on the Whats Up Nails site, I would have known to use a structure gel coat first before the top coat. I am such a gel noob...I'm sorry. I am going to try this again but with that combo and see if it works. I actually really appreciate that you showed us your fail :) Love the nails and love the new blog design! I'm glad you like it! I fail way more than you would suspect. The shift is amazing, but I also wish it was a little less of a pain to use!